Welcome! Since 2002, Atlantic Foot Specialists, PLLC, has been working with patients to provide the best foot care for patients in the Brunswick County area. 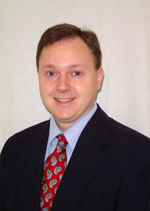 Dr. Satterwhite’s experience in podiatry is coupled with genuine concern for his patients. All our staff is dedicated to your comfort and prompt attention as well. Our goal is to help you maintain healthy feet. This web site provides you with an overview of our practice and the field of podiatry. As you navigate the site, you’ll find information about Atlantic Foot Specialists, PLLC ‘s practice philosophy, our Brunswick County office location, insurance policies, and appointment scheduling procedures. Please browse the site at your convenience and feel free to contact us with any questions. You can also request an appointment by clicking here. Proudly serving the following NC communities Southport, Shallotte, Smithfield, St. James, Bolivia, Caswell Beach, Long Beach, Yaupon Beach, Holden Beach, Ocean Isle Beach, Sunset Beach, Calabash, Little River, Ashe, Boiling Spring Lakes, Leland, Acme, Seaside, Longwood, Wilmington, Winnabow, Bellville, Winding River Plantation, Ocean Trial, Sea Trail, and all of Brunswick County.